Want a World Without Blackouts? Power the Future With Renewable Energy. "The whole system is most efficient when it is planned ahead of time as opposed to done one piece at a time." Whether at the national or corporate level, an integral part of most plans to combat climate change is making the shift to renewable energy sources. With solar and wind power leading the charge, renewables are steadily finding their way into the energy infrastructure of a number of countries and companies. Some have already become 100 percent renewable, while others continue to carefully wean themselves from fossil fuel. There is, however, a sizable hurdle that early renewable energy adapters will inevitably encounter. Energy output from solar and wind, and to a lesser extent hydrogen, are dependent on circumstances beyond human control. An emerging solution to this issue is the use of energy storage devices or commercial-grade batteries like Tesla’s Powerpack. A new study from Stanford University and the University of California, Berkeley (UCB) argues that this hurdle could very well be overcome by a combination of solutions. 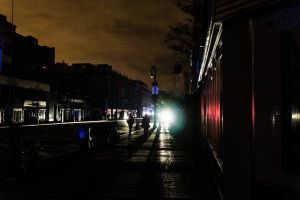 By making renewable energy completely reliable, it could provide consistent power across all sectors, potentially making blackouts a thing of the past. A manuscript of the study has been published in the journal Renewable Energy. Lead author Mark Jacobson, a civil and environmental engineering professor at Stanford, also lead a recent study that presented a roadmap to 100 percent renewable energy dependence for 139 nations. In the new study, the researchers completed the roadmap, suggesting three scenarios that would maximize renewable energy output and sustain power to supply the grid. Using a combination of computer modeling programs that can predict global weather patterns from 2050 to 2054, Jacobson and his colleagues constructed scenarios where 139 nations, grouped into 20 world regions, had converted all sectors into renewable energy by 2050. The team also factored in the effect on energy output from solar and wind power sources. Using another model, the team then calculated the energy produced by more stable renewable sources, such as geothermal and hydrogen. The results described three scenarios in which nations struck a proper balance between energy output from renewables and predicted energy demand for 2050. Of note, in all three scenarios, blackouts at low energy costs were avoided for a five-year period. The researchers noted that having various energy storage options available was an important factor in that outcome. Similarly, the 20 regions in CASE B, also found that thermal energy storage and CSP-with-storage were key; the only difference was the addition of hydropower turbines. Though, the study noted that these didn’t increase annual hydrogen power output. Our main result is that there are multiple solutions to the problem. This is important because the greatest barrier to the large-scale implementation of clean renewable energy is people’s perception that it’s too hard to keep the lights on with random wind and solar output. Jacobson also noted that an important consideration for all three scenarios, in terms of creating a roadmap that works, is political cooperation between the 139 nations. That probably doesn’t come as a surprise, though — considering how clean energy programs and climate deals often depend quite heavily on the politics of the nations involved. Having a road-tested roadmap, so to speak, should at the very least help guide these nations — and the researchers hope they’ll be confident to take action sooner rather than later. If warnings about the rate of global warming are to be heeded, we need a stable renewable energy infrastructure in place well before 2050.